With all of the incessant rain lately, we were feeling in serious need of some comfort food. And because bacon is one of our favorite comfort foods, we decided to head over to The Depot Diner in Beverly. 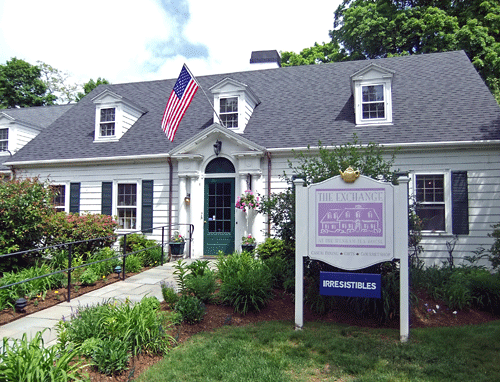 Not to be confused with the Little Depot Diner in Peabody; it isn’t a vintage style diner, but rather a storefront restaurant in a small strip mall next to the North Beverly commuter rail station. It was bustling on our arrival, but we managed to snag a free table, though we’re told arriving after 9:00 on a weekend morning will mean fighting the crowds for a seat. The dining room is large and open, and in lieu of a diner motif, the décor is made up of warm mustard and terracotta colors, accented by bright abstract paintings and dark wood tables. Our waitress was cheerful and efficient, providing coffee (dark and rich) and juice in short order as we surveyed the large menu of breakfast and lunch items. The omelets being consumed at the next table looked impressive, but we decided on the eggs (any style) over corned beef hash with homefries and toast ($7.75) and the Portuguese sweet bread french toast ($6.50) with a side of bacon ($3). 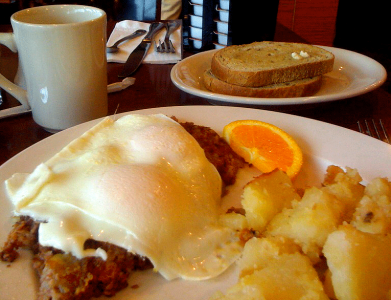 The corned beef hash was quite tasty, with nice crispy bits and savory flavor that complemented the eggs. 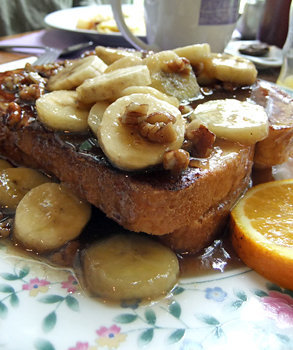 We were impressed by the variety of breads available for toast and pleased rye was among the offerings. The homefries, however, were lackluster—bland and mushy. 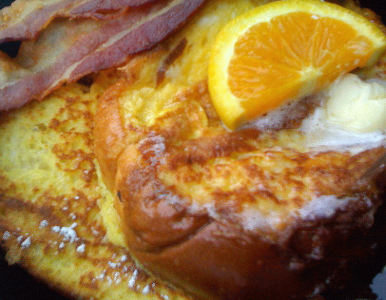 The french toast was heavenly: two large, thick slices of Portuguese sweet bread transformed into fluffy, eggy perfection. The bacon was nicely crisp and not too greasy. 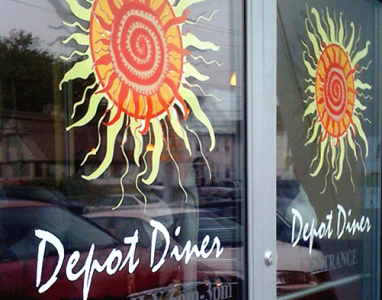 Whether you are looking for a bright spot on a dismal day or simply a tasty hearty breakfast, we found that a stop at the Depot Diner is just the ticket.